Congratulations to Kathleen E Belongia who won a copy of Susan Meissner’s As Bright As Heaven! Please e-mail my assistant Christen (amy@triciagoyer.com) with your mailing address! 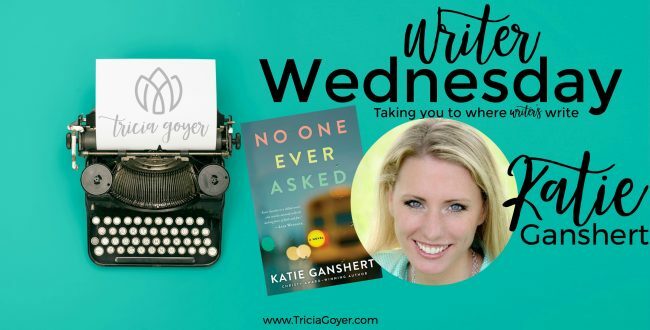 Enter below for a chance to win a copy of Katie Ganshert’s No One Ever Asked! The Phantom Tollbooth by Norton Juster! It was the first book I remember absolutely captivating me as a kid. I couldn’t put it down. For me, I don’t think it was any one particular book. I read a lot as a kid, and I wrote a lot as a kid. I think the two went hand-in-hand, and I’m not sure which one started first. I just know that I loved to read stories, and I loved to write them, too. Although I had a hard time finishing any of the stories I started writing. I’d always get an idea for a different story around halfway through and ditch the old one. Her One and Only by Becky Wade! It was wonderfully romantic and had me smiling on almost every page. Just Look Up by Courtney Walsh and Raising White Kids: Bringing Up Children in a Racially Unjust America by Jennifer Harvey. The Family Next Door by Sally Hepworth. I recently saw this on Instagram, and as soon as I read the back cover blurb, I knew this was a book I wanted to get my hands on. It sounds similar to Liane Moriarty’s books, and she’s one of my all-time favorite authors to read. Challenging perceptions of discrimination and prejudice, this emotionally resonant drama for readers of Lisa Wingate and Jodi Picoult explores three different women navigating challenges in a changing school district—and in their lives. When an impoverished school district loses its accreditation and the affluent community of Crystal Ridge has no choice but to open their school doors, the lives of three very different women converge: Camille Gray—the wife of an executive, mother of three, long-standing PTA chairwoman and champion fundraiser—faced with a shocking discovery that threatens to tear her picture-perfect world apart at the seams. 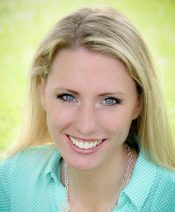 Jen Covington, the career nurse whose long, painful journey to motherhood finally resulted in adoption but she is struggling with a happily-ever-after so much harder than she anticipated. Twenty-two-year-old Anaya Jones—the first woman in her family to graduate college and a brand new teacher at Crystal Ridge’s top elementary school, unprepared for the powder-keg situation she’s stepped into. Tensions rise within and without, culminating in an unforeseen event that impacts them all. This story explores the implicit biases impacting American society, and asks the ultimate question: What does it mean to be human? Why are we so quick to put labels on each other and categorize people as “this” or “that”, when such complexity exists in each person? 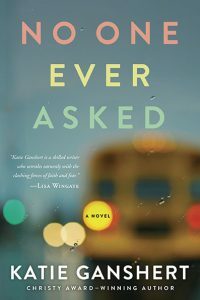 I can’t wait to read No One Ever Asked! It sounds so captivating and thought-provoking.